KAWASAKI’S supercharged Ninja H2 is getting a slipper-assist clutch and ECU tweaks as well as a new colour option for 2016, the firm has announced. The current version already has a slipper clutch, which acts to prevent rear wheel lock on aggressive downshifts. The assist element is new, and should make the lever easier to pull. Visordown revealed last week that the 210hp H2 and 326hp track-only H2R would continue in limited production for 2016 in a new ‘Mirror Coated Spark Black’ paint scheme. That’s now been revealed – along with the news of the slipper-assist clutch – at the Tokyo Motor Show. At a glance the new colour scheme looks similar to the existing one but up close the paint reveals a sort of glitter effect. Kawasaki said in a press release said that ‘both models would remain in limited production for the 2016 season with a new colour and paint finish plus the adoption of an assist and slipper clutch for the Ninja H2 as well as upgrades to the ECU settings for both machines’. 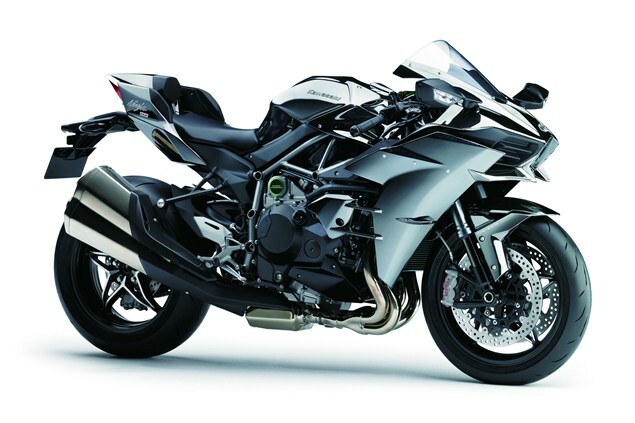 Kawasaki also chose the Tokyo show to reveal a new supercharged concept called the Spirit Charger.